Harness the power of proper nutrition to build muscle without gaining fat. The Macro Manager shows you how. 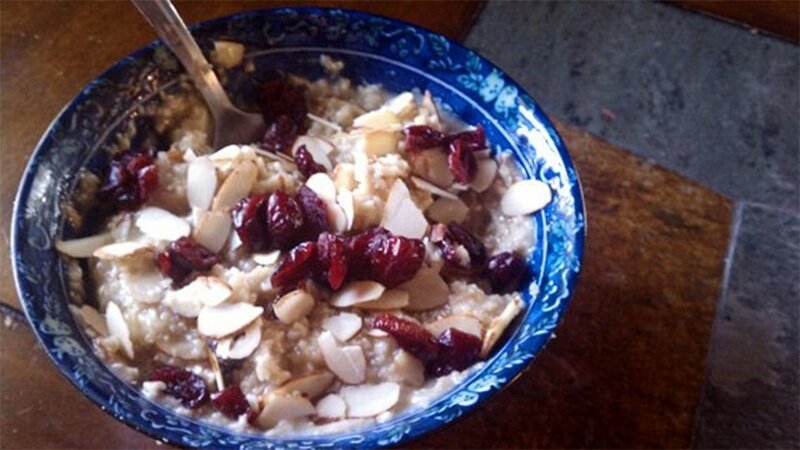 Combine water, oats, and cranberries in a bowl. Stir and let sit for 1 minute. Mix in protein powder and almonds.